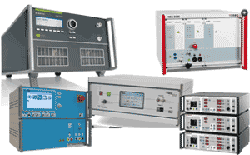 NEXIO’s software success is based on the combination of leading-edge technology in automation software, a user-friendly interface, and the high level of expertise in electromagnetic and RF testing by the dedicated staff. NEXIO’s customers are among the top companies in the world in every major market sector ranging from aerospace & defense, aviation, automotive, multimedia, information technology, medical, home appliances, and so on. We are also the software of choice for some of the world’s top accredited labs. Nexio's star product, BAT-EMC, is a world leader in automated test software. 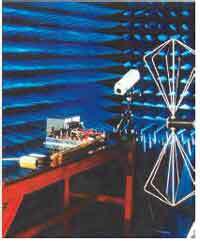 World's top accredited Labs and top Industries Leader are equipped with BAT-EMC. BAT-EMC is used in more than 20 countries worldwide (Germany, USA, China, Japan, Canada, Mexico...). Other star products are BAT-SCANNER (near field measurements), and BAT-ELEC (for burst, surge, transients, etc.). Flexible, easy to use and completely independent from any measuring device or systems manufacturers, BAT EMC answers to the increasing productivity and quality requirements of EMC tests and is now widely used in private laboratories and industrial groups in the civil, automotive, military and aerospace sectors worldwide. Facing new challenges in technical, productivity and economic sectors, NEXIO has developed BAT-ELEC, the only software which realizes transitional electrical tests compatible with generators of all customers and for all standards (civil, automotive, aeronautic, …). A range of simple and cost-killer, add-on modules for BAT-EMC that makes your EUT monitoring much easier. When a fault is detected, Easy-Monitoring executes actions configured by the user. Linked to BAT-EMC, it defects EUT dysfunctions through real-time signal analysis during the test. Faults are logged automatically according to user-configured criteria. Actions can also be set up by the operator to carry out detection of a fault (go to next freq, stop the test...). An EUT video acquisition & surveillance control tool. In case of faults, it executes actions set up by the user. 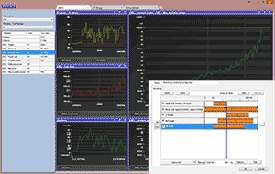 Associated to NEXIO’s EMC software, BAT-Image detects EUT dysfunctions through real-time analysis. BAT-Image is integrated into the BAT-EMC product line developed by a team of experts ensuring design, development and technical support since 1995. In a world of non-stop technological developments and rigorous quality requirements, EMC standards and test procedures evolve constantly. Your test methods need to follow these developments. Benefiting from a strong EMC engineer team, NEXIO offers its clients expert advice, development and user support.